There are few movies that can change people. In 1987, Oliver Stone’s “Wall Street” did that. Now Stone brings the iconic Gordon Gekko back with a sequel, “Wall Street: Money Never Sleeps.” Does this movie have the power to change people? No. But that does not mean it’s a bad movie. 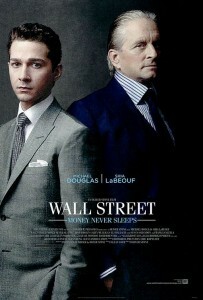 It’s a thoroughly enjoyable movie and a bit easier to understand for people who are not stock market savvy. The opening scene is what we have seen in the trailer, Gordon Gekko (Michael Douglas) getting back his possessions and leaving jail (just minus the Shiny Toy Guns’ song). When he leaves the gate, there is no one there to greet him. Next, we meet Winnie Gekko (Carey Mulligan) and boyfriend, Jake Moore (Shia LaBeouf). Instantly, we see Winnie’s contempt for her father, Gordon, when he appears on the television screen. Our focus then goes to Jake, a stock broker with much promise. His close relationship to his mentor, Louis Zabel (Frank Langella) is practically familial. Zabel runs an investment company that Bretton James (Josh Brolin) indirectly sabotages. For revenge, Jake starts a scheme to undermine James, with the help of Gekko. In turn, Jake must help reunite Gekko with his daughter, Winnie. Gordon Gekko proves to be the type of person one should never trust. Michael Douglas slicks his hair back again and reprises his Oscar-winning role. However, he does not play the ruthless Gekko people remember and (for some reason) admire. Has prison time soften Gekko? In a way, yes. However, it has also made him smarter. He is not as enthralling or intense as in the first “Wall Street;” but he is still interesting… and more likable. Shia LaBeouf plays the ambitious Jake with heart, and Carey Mulligan plays the headstrong Gekko daughter well. Josh Brolin gives Bretton James a hint of slime but not enough to make it detectable to the people around him that he’s metaphorically throwing money at. If you have seen the first “Wall Street,” it is hard to try not to compare the two. Where the first one introduced more people to the world of Wall Street, the latest one just shows how it changes. However, if this is a reflection of our current economic times, it is a bit of a disappointment. There should be more anger about what is happening. People are losing their jobs and homes. Kids cannot afford to go to college. Does Stone or Hollywood think we are not ready for that? Or have we just accepted that “greed is good” and are just too tired to be angry about it anymore? 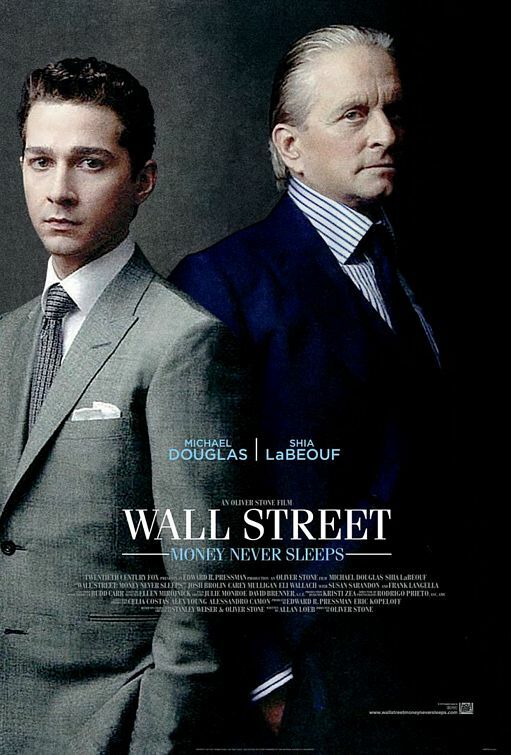 WALL STREET: MONEY NEVER SLEEPS is now playing in theaters. Next ArticleTV Show Review: Glee's BRITNEY SPEARS Episode!